The most commonly used as partition lately are those bricks wall and concrete. Nowadays, various partitions are emerging in the market that is more affordable and stylish like PVC folding door. 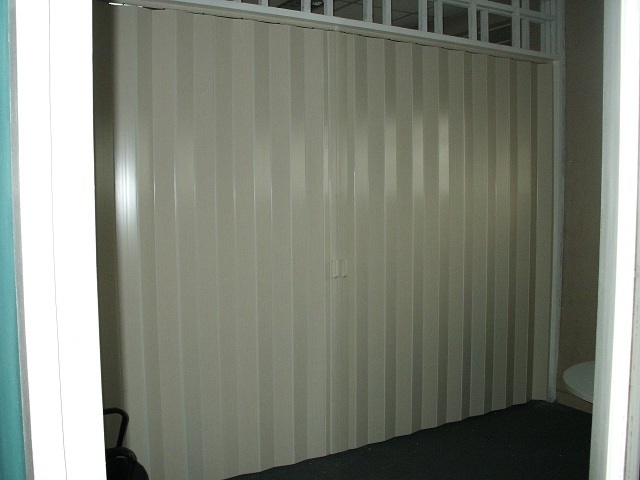 PVC folding door is not only good for room insulation and as room partition, but also an element of décor in a room. Usually the main function of room partition is to define its space, usefulness and functionality. Our client from Eastwood Libis, Quezon City, Philippines opted for PVC folding door as their office partition due to its durability, affordability and chic look. The space-saver PVC folding door allows maximum flexibility without sacrificing their office style that result to a versatile work space. 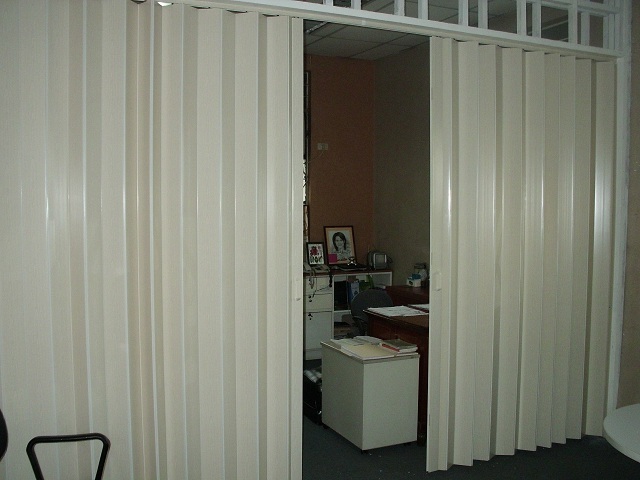 Our space can be organized by means of partition like PVC folding door. This type of room partition can help us maintain a degree of privacy for the occupants. PVC folding door in DS Windows and Walls are in its very reasonable price. Just visit our showrooms for you to see our actual samples and colors for PVC folding door. We are located at 2nd level Pacific Mall Lucena City, 3rd level Robinsons Metro East, Pasig City and 4th level Waltermart, Makati City. 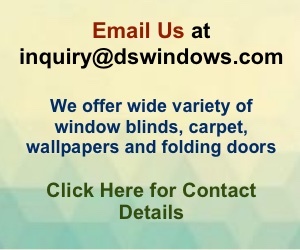 Feel free also to call us at (02) 893-1373 / (02) 403-3262 / 0916-311-3909 or email us at inquiry@dswindows.com.